Final Boss. Instinct. StK. Names etched in the minds of Halo esports fans as dominant forces, title winners, and legends. These squads were helmed by heroes and inspired a generation of Spartans eager to go from couch to Coliseum. 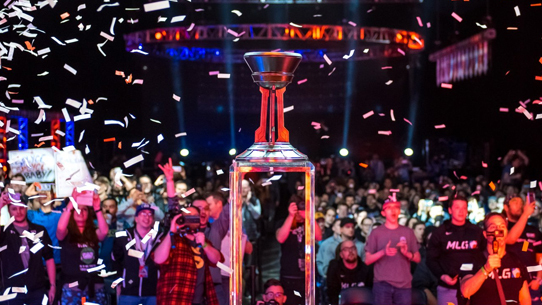 Big names are forged on big stages, and in the world of competitive Halo, there are none bigger than the Halo World Championship. Now, those mythic monikers have given way to new teams and organizations, with names like OpTic Gaming, CLG, and Evil Geniuses more recently representing the upper echelon of Halo esports. Which names will be added to the annuls of Halo history when the Halo World Championship 2018 Finals conclude? The 2018 edition of the big show is a Halo homecoming of sorts – from the return of MLG, to the Seattle surroundings. 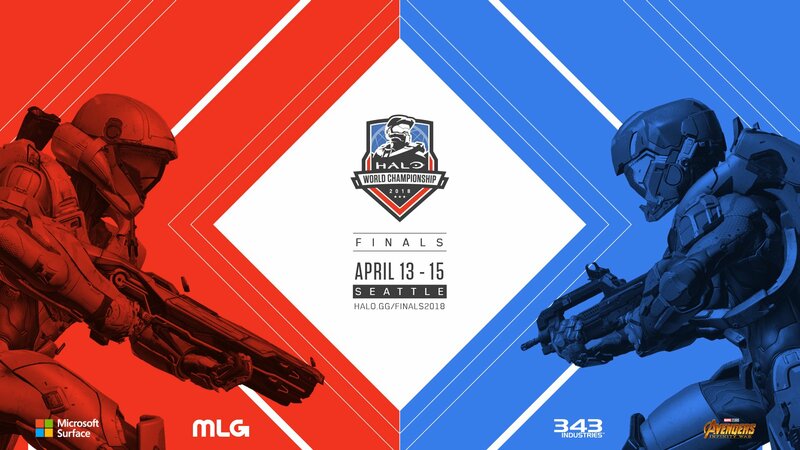 From April 13-15, the Emerald City will play host to the HaloWC 2018 Finals, with both lasting legacies and one million dollars on the line. 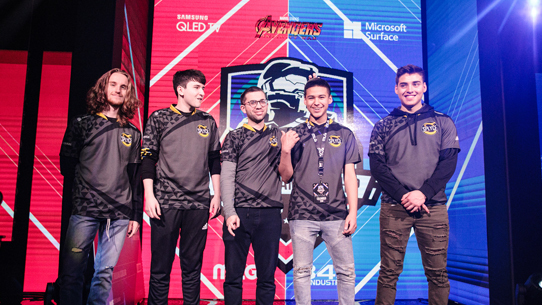 Headlining the epic clash will be two squads looking for unique flavors of three-peat – Splyce has won the past two major North American tournaments in Orlando and Columbus and features a stellar young lineup that seems to be rewriting the playbook on competitive Halo with every outing. However, standing in their way are the two-time defending world champions. Winning the title in 2016 and 2017 with CLG and OpTic Gaming, respectively, SnakeBite, Royal2, Lethul, and Frosty now fly under their own Tox banner, and are looking to win an unprecedented third straight Halo World Championship. Will they be able to take down Splyce’s killer quartet of Shotzzy, Renegade, StelluR, and Eco? The world will be watching to find out. Adding further intrigue to the scenario are teams like Team EnVyUs, who are looking to better their 2017 second-place run by one podium step, and Team Reciprocity, who are led by half of that former aforementioned nV squad and might just have the most impressive trajectory of any team in the field. Then there are international stand-outs like Team Infused (EU) and Mindfreak (ANZ), whose qualifying performances should be a warning to anyone tempted to overlook them due to regionality. Regardless of the team or storyline you may be following most closely, the Halo World Championship 2018 Finals in Seattle are primed to be one of the most memorable events in competitive Halo history. The HaloWC 2018 Finals in Seattle are shaping up to be the biggest and most-attended event in HCS history, and you can be there to see it all take place. Event spectator passes will be available at the door or can be purchased online below. 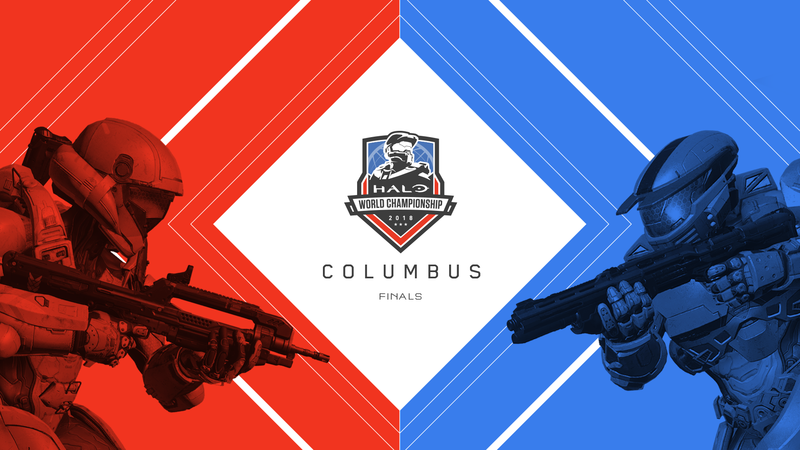 For in-depth information on event details, travel, and more, make sure to head over to the official Event Hub at halo.gg/Finals2018. 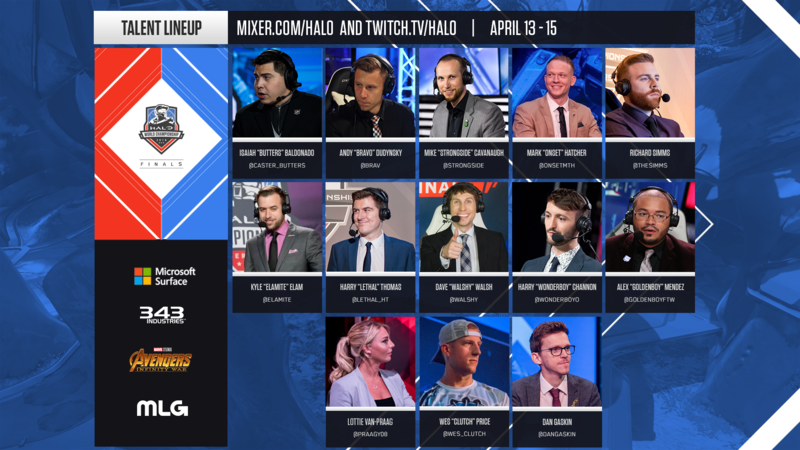 The competition kicks off on Friday, April 13, and will be streaming live on Mixer.com/Halo, Twitch.tv/Halo, mlg.com/Halo, Twitter and Facebook. Also, back by popular demand is a second stream, with all tournament matches broadcasted in their entirety with the finest Halo commentators bringing you all the action. Fans taking in the experience on Mixer will also have the opportunity to snag a special Halo MixPot! By watching the final matches on Championship Sunday at mixer.com/Halo, you’ll receive the much-beloved Voices of War REQ Pack, letting you add some fun flavor to your Halo 5: Guardians multiplayer experience. For fans looking to showcase their Halo esports loyalty on the virtual battlefield, this week the HCS REQ Pack is once again available for a limited time in the Halo 5: Guardians in-game store. This primary broadcast will focus on the action taking place on the Main Stage, but will also feature live check-ins to the second stage, red-zone style, providing viewers at home with more robust coverage of the most important matches happening at that moment. The Main Stream will, as always, feature a world-class lineup of broadcast talent, showcasing some of the finest casters and analysts in the sport. The CenturyLink Field Event Center in downtown Seattle will play host to all the festivities, creating an epic and enjoyable backdrop for Halo fans of all walks to come and enjoy the intense competition on display. From community interaction and a world-class spectating experience to the opportunity to spend time chatting with 343 devs and taking in select items from the official Halo museum, fans in attendance can expect to be treated to a fantastic and exciting atmosphere all weekend long. 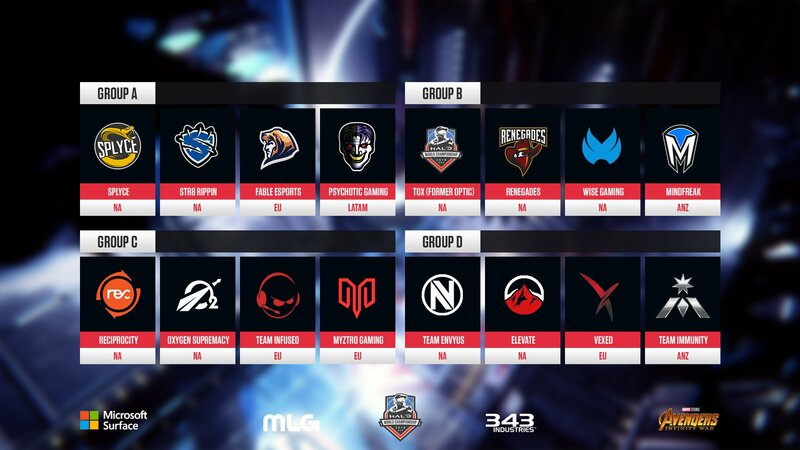 The Halo World Championship 2018 Finals is a qualified event, with the top sixteen teams in in the world having earned their spot through results in regional qualification tournaments and subsequently drawn into four groups of four. Once group play concludes, the third and fourth-placed team in each group will be eliminated, and the top two teams from each group will battle it out in an 8-team double-elimination bracket. The HaloWC 2018 Finals are rife with storylines up and down each group. All season long, we’ve brought you thoughts and predictions from both on-screen talent and HCS staff, but today, we’re gathering thoughts from you, the fans. We talked with members of the Team Beyond community, one of the preeminent destinations for fans of competitive Halo – here are some of the things they are most excited about watching this weekend, and some of the burning questions they’re eager to see answered. I really like the nV/Reciprocity storyline. Pistola is a veteran in Halo who as of last year was teaming with Snip3down, Mikwen, and Huke. For the 2018 HaloWC season though they have parted ways and Pistola is now teaming with three younger players under the nV banner. Mikwen and Snip3down have also been around the scene for a long time, and after they split off from nV they joined a new organization to play with Penguin and Spartan. While we don't know exact details of what happened, Pistola, Mikwen, and Snipedown still all ended up on top-four teams. It will be interesting to see how that will look coming into this event as they obviously want to outplace each other, but obviously they're also ultimately looking at being in the grand finals. Ola, Mikwen, and Snip3down placed second together last year, how will the split and new rise of Splyce affect them this year? For this World Championship, my eyes are set on Ryanoob. The man is one of the most intelligent Halo players, especially in terms of objective gameplay and game knowledge. In 2016, he got robbed of a Worlds spot when Winterfox fell apart right before the final deadline for rosters. 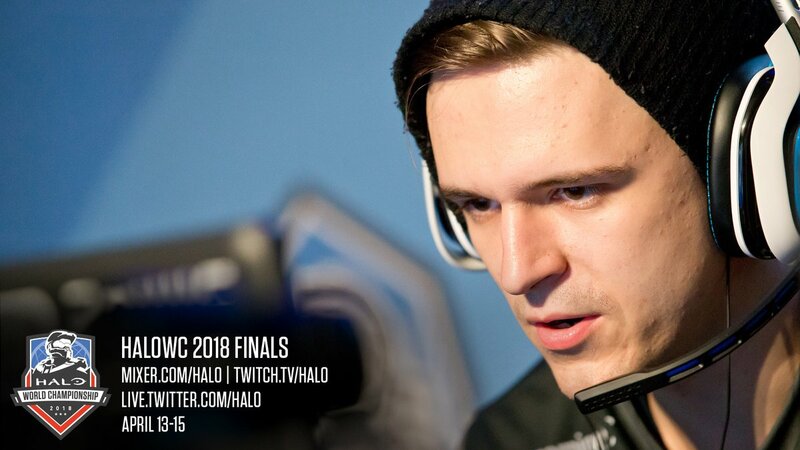 He's missed out on both previous Halo World Championships so far and I'm so excited to see how much damage he can do now that he's finally on the big stage. In terms of worldwide competition, I always cheer for the EU guys and other regions, and while I really expect Infuse to do well overall, Pool C is just brutal. This year, Infused has that previous Top 6 placing for EU bragging rights, but they are going to have to fight to death against Mystro/Oxygen Supremacy/Reciprocity. With rumors of questionable team chemistry/turmoil, I'm fearful for the international presence. I’m definitely interested in watching tox attempt to go for their third straight Halo World Championship win after losing to Splyce at the past two events. Splyce winning would also be huge with such young guns on the team. The story of Shotzzy is honestly incredible to me – going from not being able to compete because of his age to winning three major events with a strong chance of winning a world championship. I also really want to see Reciprocity make some noise as well as Renegades. They’ve had some close scrims against top NA teams. I’m really excited to watch Renegades - this is a fan favorite team given the veterans on the roster. Also, this is Lunchbox's first season without Roy. He hasn't been able to succeed in Halo outside of the first few months and Evil Geniuses seemed to disappoint its fans for the majority of later Halo 5 events over and over. However, this team has a different energy than all of those EG lineups; they do well in scrims and at tournaments look like a clear top-five team. It's kind of an elephant in the room, but we all are anticipating Lunchbox retiring very soon if not right after Worlds. Whether he performs well here may determine whether he keeps playing and for how long. With how incredible Neptune is, all it takes is some consistency from the rest of the team for Renegades to break into the top-four and cap off Lunchbox's legendary career the way it deserves. Roy never got that opportunity unfortunately and it would be awesome to see his brother do it. From the ANZ region, Junior and Seduce split from Benno and Voltage this year after back-to-back Worlds appearances representing ANZ, and both pairs made it back to Worlds. Which duo comes out ahead on the international stage? Does either pair end up better off than when they were together, or was the sum of the parts better? Back in North America, this is Ace and APG's third consecutive Worlds appearance as a duo. It’s their first year without Richie Heinz, but they've picked up a player who has historically been very similar in Lunchbox. This is also the third straight year their team has been rounded out by an up-and-coming rookie talent. Team EnVyUs’ Bubudubu has been to Worlds with nine different teammates – that’s three ENTIRELY different rosters in three years. Each of Bubudubu’s appearances at Worlds has featured the year's top rising star: Huke, Shotzzy, and now Saiyan. Orlando. London. Sydney. Mexico City. Columbus. The road to the Halo World Championship 2018 has been an incredible journey so far, and this weekend, we arrive at its much-anticipated destination.